Hi, Manlio Vecchiet here. 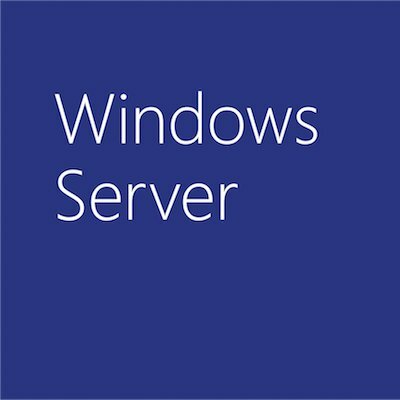 I’m director of product management on the Windows Server marketing team, focused on Windows Server networking, terminal services and VDI. I’m in Barcelona right now attending Microsoft TechEd EMEA conference. Whether you are one of the many IT Pros that have successfully deployed Terminal Services over the past decade, or whether your company is considering virtualization technologies to implement a virtual desktop infrastructure (VDI), or even if you are new to the concept of a centralized, remote desktop – this will matter to you. Today we are introducing Windows Server 2008 Remote Desktop Services – the next generation of server tools and platform that allow you to accelerate and extend centralized desktop and application deployments to any device. So, what exactly is ‘Remote Desktop Services’? Remote Desktop Services (RDS) is the new name for Terminal Services, and reflects the expanded role in Windows Server 2008 R2 so that you can run the desktop or applications in the datacenter while your users can be anywhere. RDS enables a full-fidelity desktop or application experience and efficiently connects remote workers from managed or unmanaged devices. RDS helps keep critical intellectual property secure and simplify regulatory compliance by moving applications and data from the user’s access device to the data center. The key here is that RDS in Windows Server 2008 R2 makes the new server OS the ideal platform for companies to implement a centralized desktop strategy and for partners to provide additional innovation. It introduces the new Remote Desktop Connection Broker – an expansion of the Session Broker in Windows Server 2008 – which provides the administrator with a unified experience for setting up user access to both virtualized desktops (running as a full Windows client OS on top of Microsoft’s virtualization infrastructure) and traditional session-based remote desktops. Together with Hyper-V and System Center Virtual Machine Manager, the Remote Desktop Connection Broker enables a VDI solution for low-complexity, departmental environments, and a platform for partners who are delivering rich, extensible solutions where heterogeneous client support is a prerequisite, and when enhanced management and scalability is a requirement. The Remote Desktop Connection Broker it complements other, shared RDS infrastructure components in Windows Server 2008, such as Remote Desktop Web Access or Remote Desktop Gateway. With the Remote Desktop Connection Broker, partners will find an extensive set of APIs that will allow them to continue innovation and deliver added value to customers. Other important improvements in our virtualization platform in Windows Server 20080 R2, such as Live Migration, will further contribute to making Windows Server 2008 R2 an excellent platform for VDI, improving both availability and scalability of a virtual desktop deployment. Finally, Windows Server 2008 R2 also introduces a series of platform enhancements for remote desktop users – such as support for multiple physical monitors, redirection of multimedia and 3D content, including Vista Aero, and enhanced, bi-directional audio support. I hope you are as excited as I am about this. Post some questions in the comments section – I’m interested to hear what you think and to answer questions.